Passim gift cards can only be redeemed by calling our office at (617) 492-5300 or in-person at our box office. Unfortunately our gift cards cannot be redeemed online. 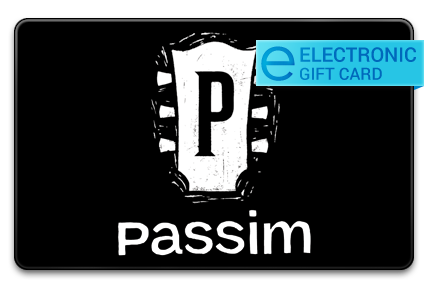 Passim gift cards can only be used on tickets, memberships and School of Music classes and workshops. Gift cards cannot be used on food, drink or brunch items.